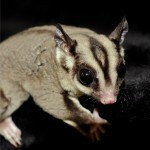 We are about rescuing exotic animals and educating the public about animals and the vast biodiversity of our world. Urban Safari Rescue Society, has educated hundreds of thousands of children and adults with our very unique live animal presentations, courses, and camps. Scroll through and see what we offer. You’ll be amazed at what there is to learn.